Decision makers at many organisations question the investments made in IT. This is often because they don't fully understand the value delivered by IT service management or by compliance with recommended best practices such as those defined by the IT Infrastructure Library. 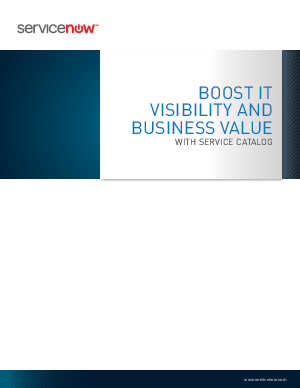 Download this white paper to uncover how Service Catalog can benefit you.